A bit of light reading anyone? The Lumio may look like a hard-bound book on the outside – but open the cover and it unfolds into a beautiful modern light! Lumio was created by industrial designer Max Gunawan, who told Inhabitat that he got the inspiration for the lamp from his fascination with folding/origami designs that can be transformed into multiple forms. 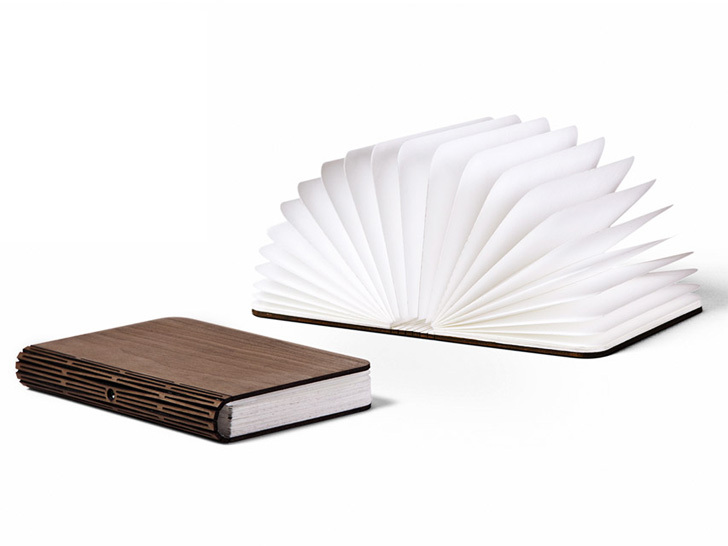 The Lumio a portable and compact “book” that unfolds into a cool modern lamp to provide lighting when you need it. “I wanted to translate this idea into a smaller scale, functional object that many people can use in their everyday life,” stated Gunawan. Since the lamp simply folds out of a compact book, it can be adapted to the user’s changing needs: from a table lamp, to a wall sconce, pendant, or reading light. 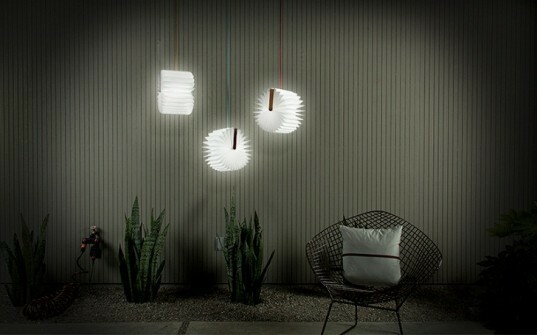 The modular fixture can be arranged as part of a larger lighting configuration as well. The lamp turns on and off as you open and close the cover. It’s also cordless, thanks to its rechargeable lithium-ion battery that provides up to eight hours of power for the lamp. Gunawan hasn’t announced pricing for the Lumio illuminated book, but he plans to launch a Kickstarter campaign to finance the design on February 12th. His goal is to raise enough money to meet the minimum production run to manufacture the Lumio. I just watched shark tank and this is beautiful. I cannot wait to purchase one! A bit of light reading anyone? The Lumio may look like a hard-bound book on the outside - but open the cover and it unfolds into a beautiful modern light! Lumio was created by industrial designer Max Gunawan, who told Inhabitat that he got the inspiration for the lamp from his fascination with folding/origami designs that can be transformed into multiple forms.